You have no one but me, when you're alone I come find you. I'll never leave your side until the day I die. What am I? 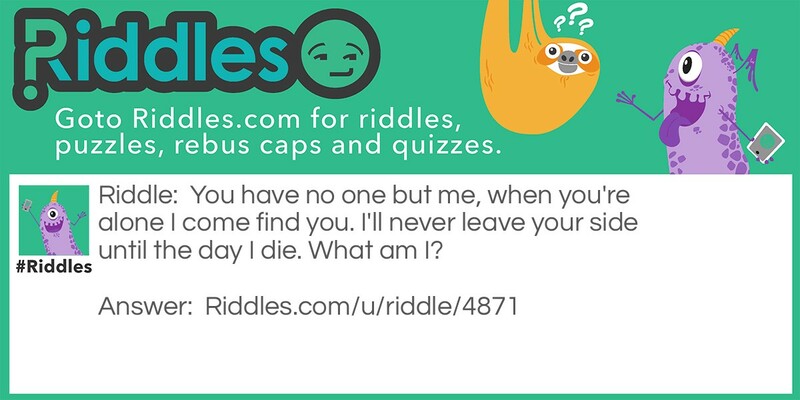 Trust and Alone Riddle Meme with riddle and answer page link.